Celso Grecco is the founder and president of Attitude, one of the first consulting agencies in Brazil dedicated to building “social platforms” for corporations and helping civil society organizations build strategy and communication plans related to CSR, social investment and sustainability. In 2003, he created the first Social Stock Exchange (SSE) within Bovespa, Brazil’s stock exchange. The SSE was recognized by UNESCO as unique, adopted by the United Nations Global Compact Office as a case study, and replicated in South Africa in 2006. The SSE became a model recommended by the UN to other stock exchanges in the world. He also founded and led Aldeia do Futuro, a non-governmental organization recognized as one of the best social technologies in São Paulo. 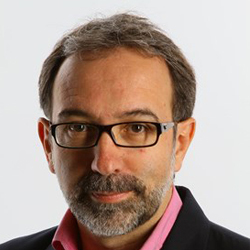 Celso sits on the board for several civil society organizations in Brazil and was elected an Ashoka Fellow in 2006. In 2007, he co-authored the book “Financing the Future – Innovative Funding Mechanisms at Work” which was published in Berlin by the Global Exchange for Social Investment.